I have been working with the San Jose State University marketing department for a few years now photographing portraits and creating films. 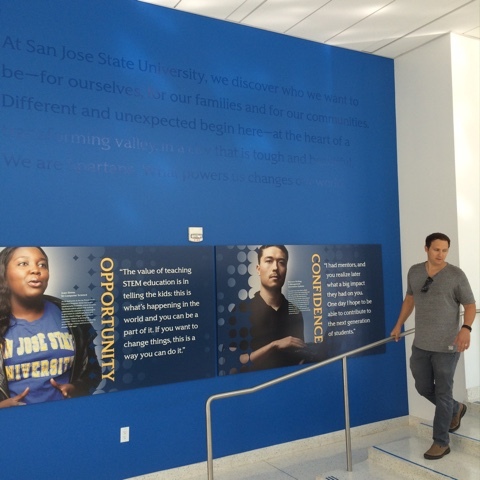 San Jose State is currently launching a new rebranding and here are some of my portraits hanging in the new student union. I am always impressed by these individuals as I get to capture and learn from a wide variety of people from laureates, to marine biologists, to inventors, and many others.